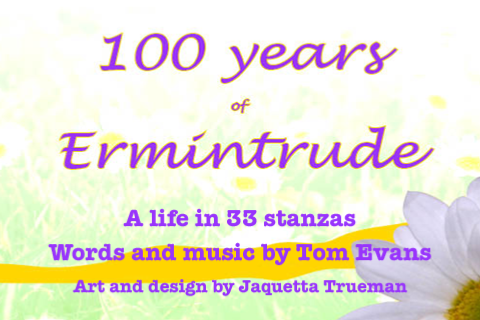 100 Years of Ermintrude by Tom Evans is a narrated ebook with soothing classical guitar background music. It tells the story of a great-great-granny from death to birth. 100 Years of Ermintrude is a multimedia e-book which provides not just images and text but also accompanying audio which is automatically played for each page. The reader can either read each page manually, or let the narrative unfold automatically (with the pages being turned automatically, as well) while they listen to the story unfold.